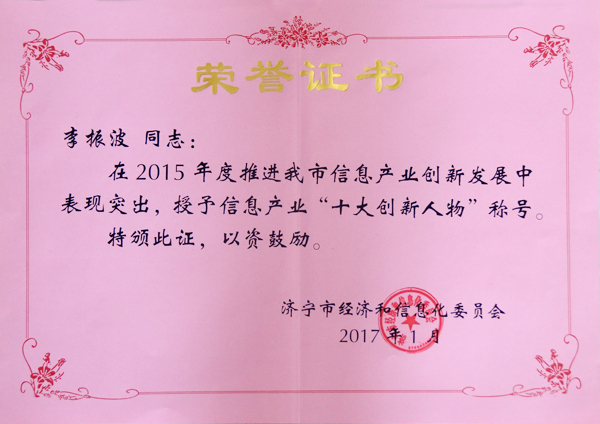 Summary: the 2015 Jining "Ten Innovative Characters" was solemnly praised, vice general manager of Shandong China Transport Group, Li Zhenbo was awarded the honor of 2015 Jining information industry "Innovative Characters". On the morning of February 9th,Jining Economic and Information Work Conference was held in Jining Grand Canal Hotel. member of Jining Municipal Party Committee , deputy mayor Zhang Shengming, vice director of Jining Municipal Government Office Liu Jiaqi, director of Jining Economic and Information Technology Commission Zhou Guangquan, investigator of Jining Economic and Information Technology Commission Huang Xinping, Wang Youbing and other leaders attended this meeting. 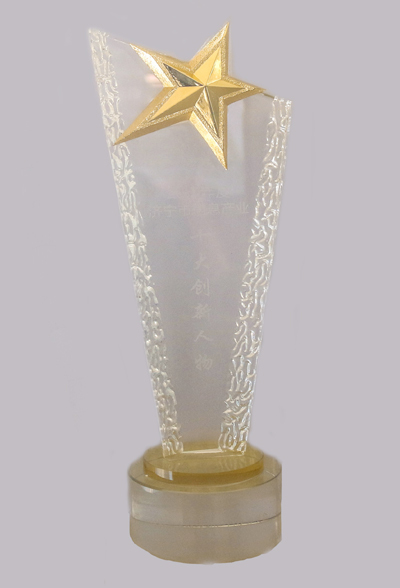 At the meeting the 2015 Jining "Ten Innovative Characters" was solemnly praised, vice general manager of Shandong China Transport Group, Li Zhenbo was awarded the honor of 2015 Jining information industry "Innovative Characters". In recent years, under the guidance of the Group's leadership, the Vice General Manager Li Zhenbo led the e-commerce marketing team keep the spirit of proactive, pioneering and innovative, made Shandong China Transport Group transfer from traditional sales model to the modern e-commerce sales model, promote the development of city''s e-commerce and has been highly praised by provincial and municipal leaders many times.This time, Manager Li successfully selected as 2015 Jining Information Industry Innovators, is not only a high recognition for our Group''s informatization development achievements, but also a great encouragement to all e-commerce marketing team.We will take this as an opportunity, deeply studying and practicing the Scientific Development View, increase scientific and technological research and development, lead the transition with innovation, actively explore new ways and methods of enterprise information construction under the new situation, To promote the development of the Group to a new level, and strive to make more positive contribution to the development of economy and informatization in Jining city!